The password will be informed only for participants. Please download and open files. *For some files with Japanese and English titles, volunteer students translated for some participants. Please note that there are parts that are not necessarily appropriate translations. Attendance fee ⇒We have made it FREE!! 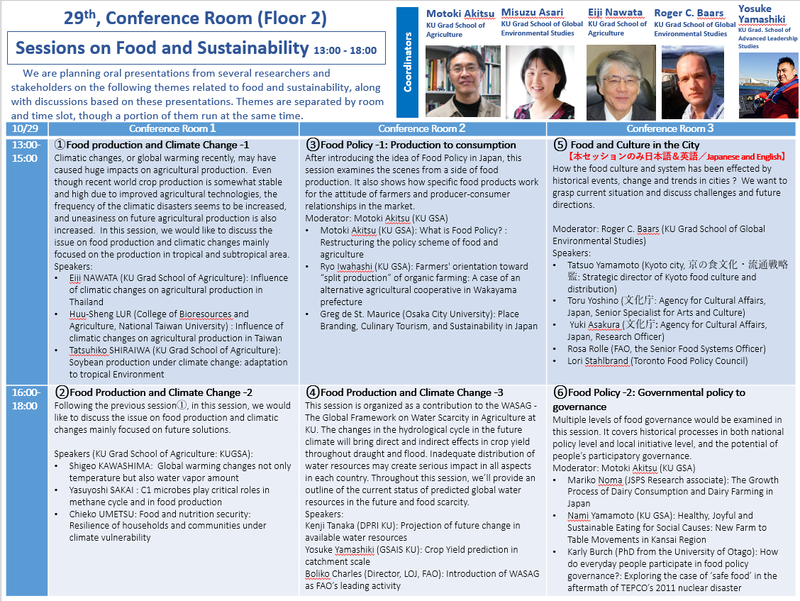 We are going to share the diverse knowledge and discuss about wide range of theme related food & sustainability. 【language: English】Interpretation(Japanese to English) machines are rented out if you want. Limited by 50 people. There are cities in the world with decades of history and experience in food policy. 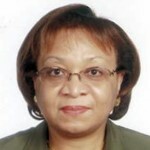 We invite a speaker from Toronto, a representative example. 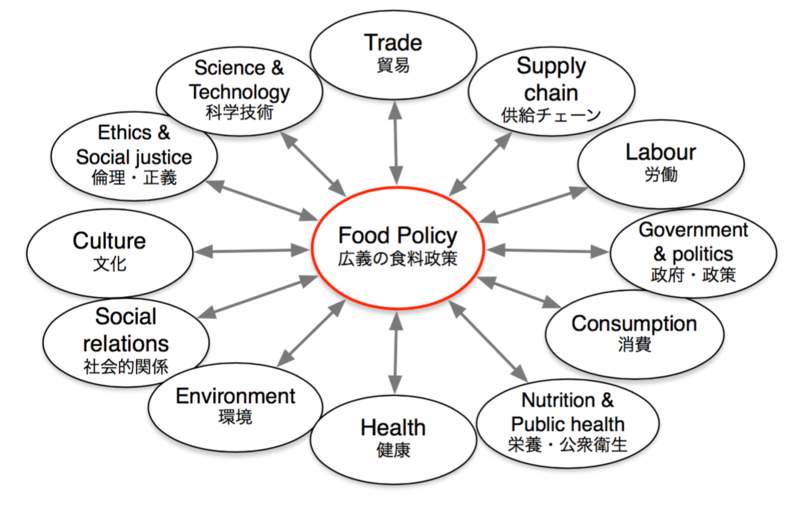 There is much to be learned from the history and experience of food policy designed by government officials, city residents, producers, business stakeholders, and researchers—all of who worked together to identify a number of issues and resolve them as organically as possible. 【language: English】Simultaneous interpretation machines are rented out if you want. Limited by 50 people. While food is our basic element, it also presents a number of problems. For example, to say that all 17 of the UN’s Sustainable Development Goals (SDGs) relate to food is no exaggeration. In this symposium, we consider some of these goals, and while sharing problems and forefront measures, we also search for clues toward solutions. One third of all the food produced worldwide goes to waste. The weight is 1.3 billion tons annually. “Let’s rescue fresh food from dumpsters! And transform trash into delicious dishes!” He travels through 5 European countries in 5 weeks s and only cook up what others throw out or allow to go to waste. 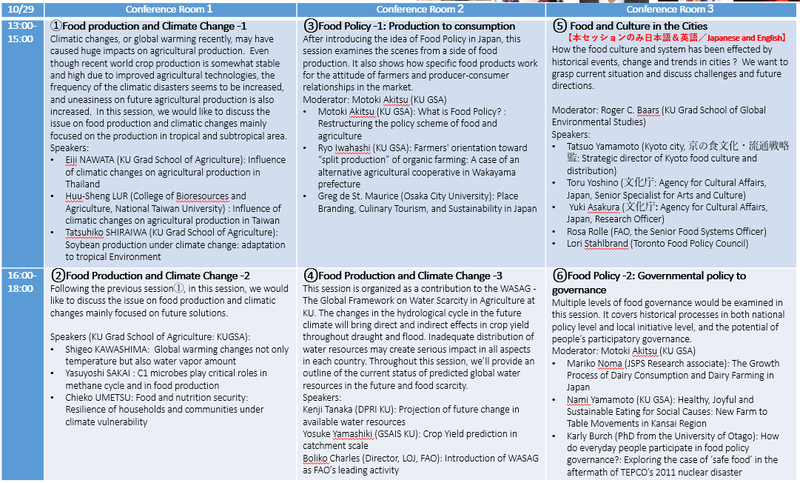 We are planning oral presentations from several researchers and stakeholders on the following themes related to food and sustainability, along with discussions based on these presentations. Themes are separated by room and time slot, though a portion of them run at the same time. 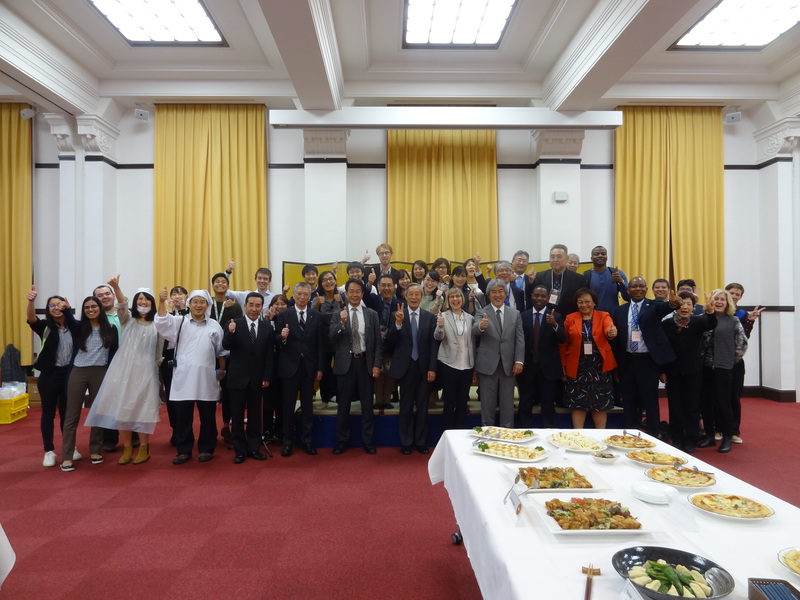 About 20 people, including students and young researchers, will present posters on a wide range of research with food and sustainability as the theme. This is an opportunity to directly exchange thoughts on the latest research. 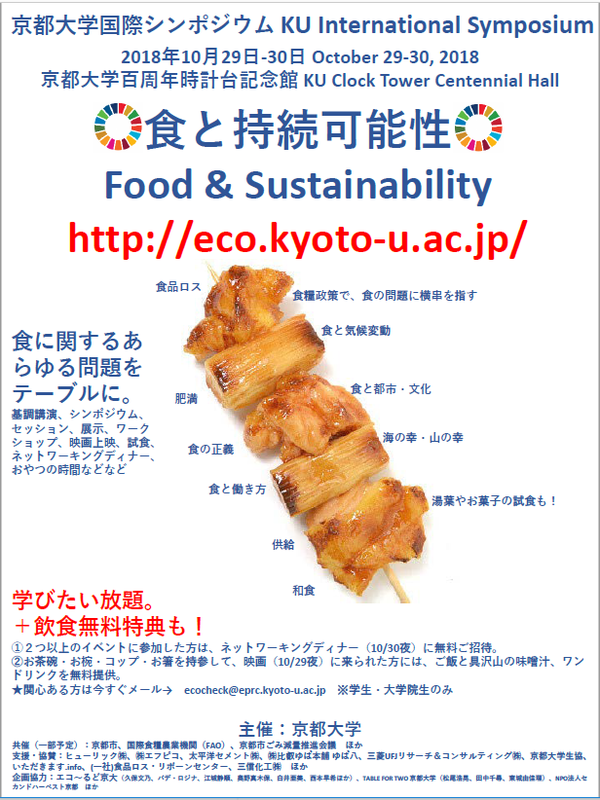 ※Meeting on 30th 18:00- is reserved only for participants of the dinner. There are other opportunities such as presentation and exchange of view session, and panel display ect…. ①Someone who has more than 2 stamps as participate certifications of the events, can be invited Networking dinner without fee (18:00-, 30th). ②Someone who joins the movie (29th, 18:00-) bringing own bowl for rice and Miso-soup, cup, and chopsticks, can be served Japanese rice, Miso-soup, and one drink without fee. ★It’s only for registered people, and limited by 50 people.